简介: The Common Core State Standards for English ELA and Mathematics emphasize improving the quality of student-to-student discourse as a major feature of instruction. The new standards specifically describe the importance of students understanding the reasoning of others and engaging in meaningful conversations using evidence for claims. Yet this type of student-to-student discourse tends to be rare in classrooms. Common classroom activities such as whole class discussions, jigsaws, and think-pair-shares, can have the appearance of constructive interactions, but they often do not provide adequate opportunities for all students to engage in academically rich, back-and-forth dialogs. 简介: Uncertainty and endless debate can inhibit our ability to make good decisions. Many of us squander our best opportunities to create value by making better decisions. What if we could judge the quality of our decisions at the time we make them, rather than waiting for their outcome? What if we could turn uncertainty to our advantage? 简介: This course examines the range of financing options that a life science/healthcare company has at the startup phase of its life cycle. In this difficult financing environment, ventures need to look to any and all sources of capital that will allow them to create value inflection points, reduce risk and position themselves for additional investment. This course will cover a range of funding sources including grants, angels, seed and venture capital and non-traditional sources such as foundations and crowdfunding. 简介: This is an action-oriented course to help develop your entrepreneurial leadership skills, whether or not you intend to start a new business, and will offer the elements needed to take initiative from any organizational position. It will help you reexamine your mindset about leadership -- constantly seeking opportunities, action to test possibilities, learning and new actions. You will develop your vision of what kind of leader you want to be, your ability to engage with colleagues to create a high performing team, and your skills at influencing the many people whose cooperation you need even though you can’t give them orders. 简介: In this short course, you will see four lessons from the Quantway® course developed by the Carnegie Foundation. These lessons will develop your understanding of common numbers often found in the news, on advertisements, and online. You will see how numbers play important roles in arguments you hear about daily like issues such as gun control, smoking, pollution, and heart attacks. And by the end of this course, you’ll be able to use numbers to communicate your ideas. 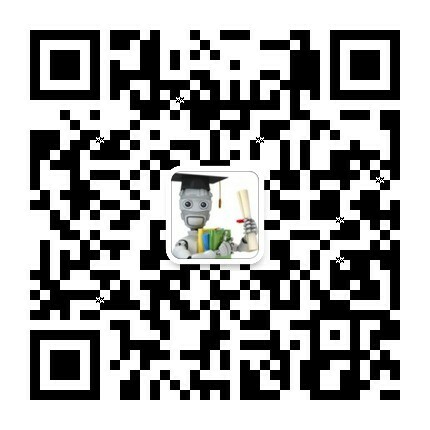 简介: This course focuses on strategies and techniques for development of sustainable products and manufacturing processes. Using case studies, we will examine strategic decisions and best practices in new product and process development when environmental and resource externalities are accounted for. Environmental sustainability has emerged as the imperative management undertaking for business sustainability in the face of rising global demand for natural resources and environment services and of environmental problems such as climate change. We will examine how regulatory and voluntary requirements for sustainable development affect the ability of a firm to achieve its business and corporate objectives. We will assess how sustainable products and operational practices contribute to the firm’s competitive advantage and operational efficiency and to enabling entrepreneurial opportunities. Students will examine the industrial ecology and life cycle assessment techniques in integrating traditional product and process development requirements with those of the environment and society. The emphasis in this course is on sustainability requirements in management of new product and process development from the perspective of the senior-level executive who is responsible for the firm’s business and operational strategies. Student teams will develop a new sustainable product, or undertake field study projects to gain firsthand experience with sustainability practices in a company. 简介: This course introduces the fundamentals of technology entrepreneurship, pioneered in Silicon Valley and now spreading across the world. You will learn the process technology entrepreneurs use to start companies. It involves taking a technology idea and finding a high-potential commercial opportunity, gathering resources such as talent and capital, figuring out how to sell and market the idea, and managing rapid growth. To gain practical experience alongside the theory, students form teams and work on startup projects in those teams. This is the second offering of the class. Last time, nearly 40,000 students from around the world participated and worked in teams together. The top teams were matched with Silicon Valley mentors, and the best teams at the end of the class pitched their ideas to investors. Many of the alumni of the last class are continuing to build their startups and will be mentoring teams this time. By the conclusion of the course, it is our hope that you understand how to: 1. Articulate a process for taking a technology idea and finding a high-potential commercial opportunity (high performing students will be able to discuss the pros and cons of alternative theoretical models). 2. Create and verify a plan for gathering resources such as talent and capital. 3. Create and verify a business model for how to sell and market an entrepreneurial idea. 4. Generalize this process to an entrepreneurial mindset of turning problems into opportunities that can be used in larger companies and other settings. 简介: This course introduces the fundamentals of technology entrepreneurship, pioneered in Silicon Valley and now spreading across the world. You will learn the process technology entrepreneurs use to start companies. It involves taking a technology idea and finding a high-potential commercial opportunity, gathering resources such as talent and capital, figuring out how to sell and market the idea, and managing rapid growth. To gain practical experience alongside the theory, students form teams and work on startup projects in those teams. 简介: In this eight-week course, you will learn the financial concepts behind sound retirement plan investment and pension fund management. Course participants will become more informed decision makers about their own portfolios, and be equipped to evaluate economic policy discussions that surround public pensions. The course begins with the principles of financial economics, such as the distribution of outcomes when investing in stocks, bonds, or annuities. These serve as the building blocks for an understanding of different retirement strategies that can help you improve your asset allocation. Finally, the course applies these principles to government programs and policies. 简介: is the most complete reference source for pitch skills used in today’s startup world. You will learn the proven formula for a successful pitch based on case studies of pitches that worked. You will gain strategies to pitch persuasively from research in corporate communications. You will also gather insights on slide development and delivery. This course is designed to improve your pitch and win funding faster. 简介: If you want to learn how to be a successful venture capitalist or how to raise venture capital for your startup, you’ll want to know how a venture capitalist thinks and makes investment decisions. This online course on venture capital covers both the mechanics of venture capital investment and the important role investors play in shaping the culture of successful startups. Founder-VC mismatches or culture clashes are silent killers of both startups and innovation. 简介: Have you ever faced a decision you really struggled over, but just couldn’t find your way? Imagine you had been given a set of tools, so you were confident of making the best choice you could make. This course provides a path to developing those decision skills and improving your life.